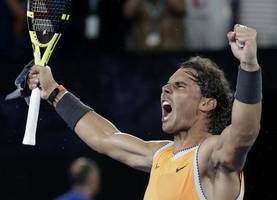 Playing his first match since injuring his knee at Indian Wells last month, Nadal showed no signs of rust as he raced into a 5-0 lead in the first set on Court Rainier III. ▶ Videos for "Indian Wells"
The 'Goku' rapper sparks rumors that he has parted ways with the 'Nashville' actress after he was spotted kissing another woman at the Levi's in the Desert Pool Party in Indian Wells. Hailey Bieber rocks her “Bieber” necklace while attending the Levi’s In The Desert 2019 Party during the 2019 Coachella Music Festival held at Sands Hotel & Spa on Saturday (April 13) in Indian..
Darren Criss and Mia are enjoying some fun in the sun! The newly married couple attended the Levi’s In The Desert 2019 party during 2019 Coachella Music Festival on Saturday (April 13) at the Sands..
Canadian teen tennis star Bianca Andreescu recently sat down with The National's Adrienne Arsenault to discuss her big win at Indian Wells, her push for equality in the sport and persevering when..
Are Djokovic's March struggles just a hiccup -- or something more? 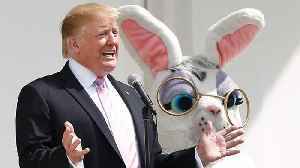 Novak Djokovic looked nearly unstoppable between Wimbledon and the Australian Open but bowed out before the quarterfinals of both Indian Wells and Miami. Indian Wells champion Bianca Andreescu retired from her fourth-round match at the Miami Open while trailing Anett Kontaveit. Bianca Andreescu retired with a right shoulder injury to ended her bid to become the fourth woman to win Indian Wells and Miami back to back while Roger Federer, Simona Halep and Petra Kvitova all.. Defending champion Sloane Stephens was sent packing from the Miami Open on Sunday after a 6-3 6-2 loss to Germany's Tatjana Maria in the third round. 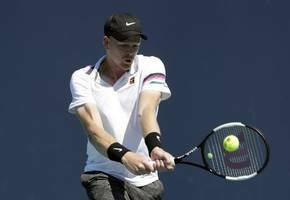 The 2017 US Open champion had no answer to..
Kyle Edmund set up a Miami Open fourth-round showdown with defending champion John Isner after a hugely impressive 6-4 6-4 victory over Milos Raonic. The British No 1 is working his way back to his..
Indian Wells champion Bianca Andreescu beat Angelique Kerber for the second time in a week, and the result left hard feelings.Andreescu reached the fourth round of the Miami Open, winning 6-4, 4-6, 6-1..
MIAMI GARDENS, Fla. (AP) — Indian Wells champion Bianca Andreescu beat Angelique Kerber for the second time in a week, and the result left hard feelings. Andreescu reached the fourth round of the.. It is the second consecutive WTA event in which the American has been unable to continue, after her retirement from last week's tournament in Indian Wells with a viral illness. 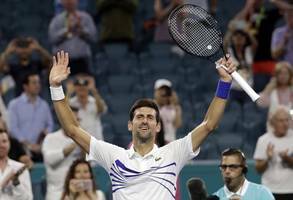 Novak Djokovic put his Indian Wells disappointment behind him at the Miami Open with a ruthless destruction of Bernard Tomic to move into the third round. MIAMI - Novak Djokovic put his Indian Wells disappointment behind him on Friday at the ATP and WTA Miami Open with a ruthless 7-6 (7/2) 6-2 destruction of Australian Bernard Tomic to move into the..
Indian Wells champion Dominic Thiem's bid for a 'Sunshine Slam' met with a quick end as he fell 6-4 6-4 to Hubert Hurkacz in the Miami Open second round on Friday, while world number one Novak Djokovic..
India's No. 1 player Prajnesh Gunneswaran failed to repeat his Indian Wells heroics at the Miami Masters as he lost in the first round. 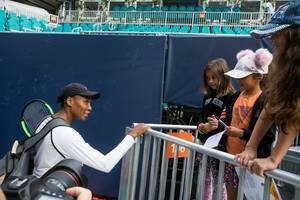 The Indian qualifier was beaten 6-7 (3), 4-6 by Spainâs..
Venus Williams displayed the mental strength that has made her a seven-time Grand Slam singles champion on Thursday, holding off a spirited challenge by Slovenian Dalila Jakupovic at the WTA Miami.. 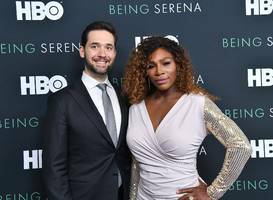 The 18-year-old who stunned the tennis world last week by winning her first career title at the BNP Paribas Open in Indian Wells raised eyebrows again with a gritty and spirited comeback that..
· Serena Williams' husband, Alexis Ohanian, hated tennis when he was at school. · The tech guru Ohanian wrote a letter to his younger self as part of the "Note to Self" series on CBS. · In his.. This is Prajnesh Gunneswaran's second straight Masters main draw appearance, coming a week after reaching the third round at Indian Wells, in which he beat a couple of high-ranked players. Television pundit and former Italian pro Filippo Volandri has defended Rafael Nadal after his controversial withdrawal at Indian Wells. Andreescu, who has dealt with several injury setbacks in her young career, needed to overcome nerves, fatigue and arm and leg issues during her triumph over former world number one Angelique Kerber in..
Companies to honor travel brands for most engaging mobile experience NEW YORK (PRWEB) March 19, 2019 Worldwide Business Research (WBR), the world’s leading producer of B2B focused marketing..
Breathers are clearly for the weak, according to the tennis powers that be. Days after the Indian Wells Masters concluded, the Miami Masters begins with the top players in action. 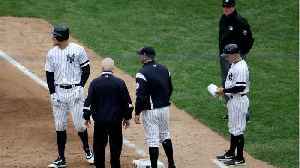 Here's a look at how..
March Madness: Will the upsets continue at the Miami Open? After several top men's and women's seeds failed to advance far at Indian Wells, the next two weeks in Miami could test whether we're in for more volatility or a return to the status quo. 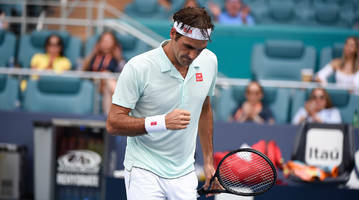 INDIAN WELLS (UNITED STATES) - Roger Federer departed Indian Wells empty-handed for a second straight year, but the Swiss great sees no reason he can't get back on track at the Miami Masters. 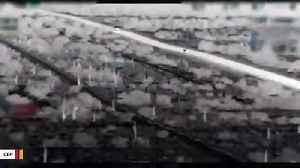 Andreescu has "biggest win in Canadian tennis history"
Bianca Andreescu's vision became reality in the California desert, where the her Cinderella run to a first WTA title put her among the elite of women's tennis. After defeating Angelique Kerber to win the prestigious BNP Paribas Open at Indian Wells on Sunday, Canada's Bianca Andreescu recalled a third-set meeting with her coach that “gave her chills.”..
After defeating Angelique Kerber to win the prestigious BNP Paribas Tennis Open at Indian Wells on Sunday, Canada's Bianca Andreescu recalled a third-set meeting with her coach that “gave her..
TORONTO (Reuters) - Canadian teenager Bianca Andreescu's Indian Wells triumph was not shown on television in her home country but that did not dampen the excitement across a nation where the future of..
Canada's Bianca Andreescu has rocketed to No. 24 in the WTA Tour world rankings after her stunning victory at Indian Wells. She is scheduled to play this week at the Miami Open.